Cooking more at home is a great way to save money. 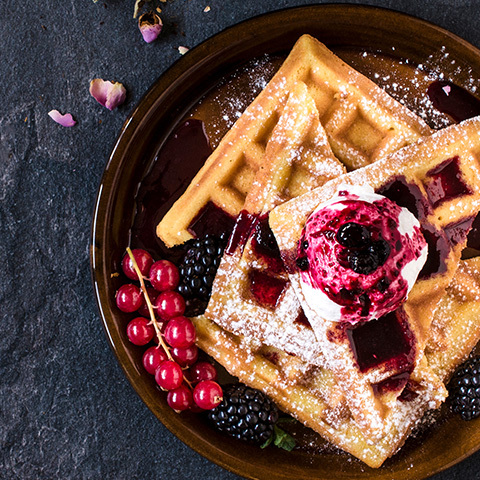 Make the most of the foods in your fridge with these fun and sometimes funky recipes. Got a crisper drawer full of last week's veggies? Throw 'em in a stew! 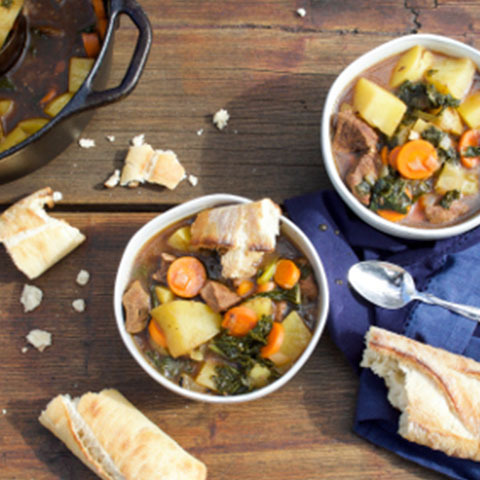 Try this hearty beef stew from Missouri cattle farmer Luella Gregory. 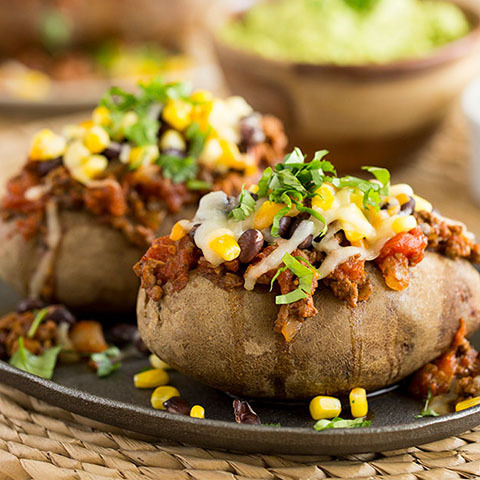 These Chili Loaded Baked Potatoes are the perfect weeknight meal or game day treat. Try this recipe from the Mushroom Council! 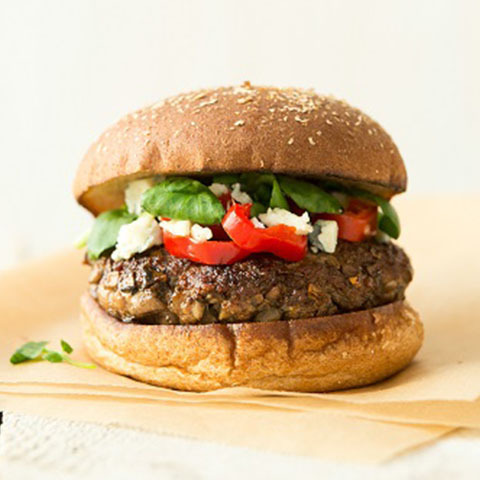 This burger recipe from the Mushroom Council combines all of the tasty meatiness of beef without the heft. And it's a great way to use up any extra mushrooms you might have! Everyone loves waking up to waffles on a weekend morning! Use up soon-to-expire eggs or milk in this recipe from dairy farmer Brett Reinford. 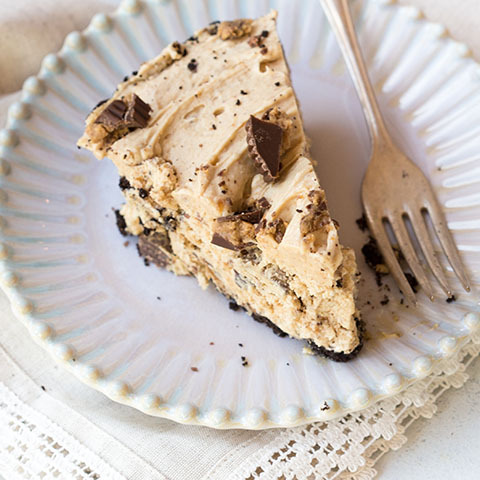 Sink your teeth into this tasty no-bake peanut butter pie recipe from Georgia peanut farmer Casey Cox! 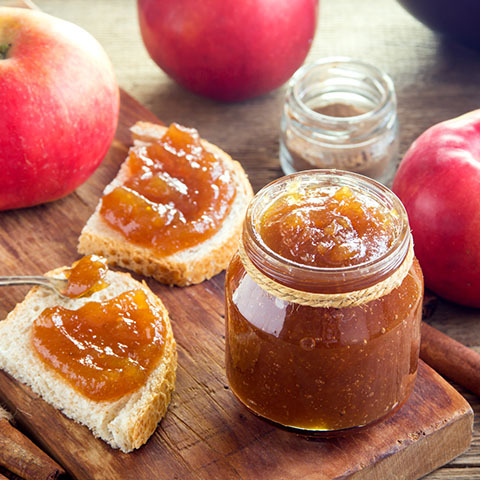 Apple Butter is the perfect home for less-than-perfect apples. 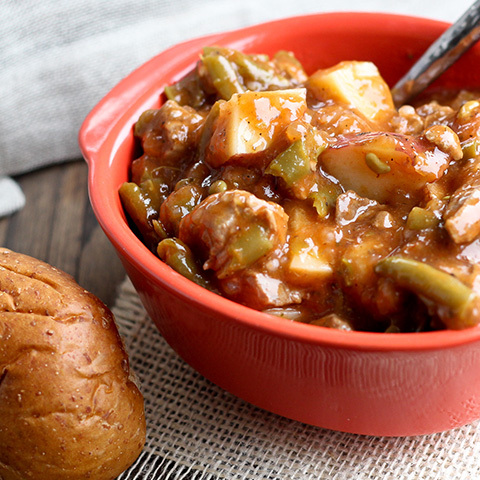 Try out this great slow cooker recipe from Washington state apple farmer April Clayton! If you're left with a lot of watermelon rind after your summer get togethers, make this delicious, tangy condiment! 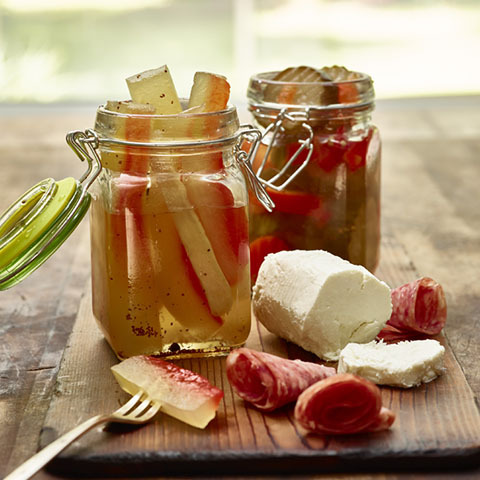 Watermelon Rind Pickles are great with pork chops, salad or just right out of the jar! Check out this recipe from the National Watermelon Promotion Board. 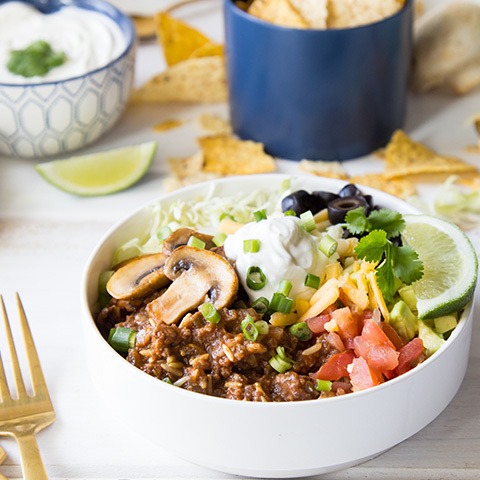 The whole family will love this tasty, nutritious slow cooker taco bowl recipe from the Mushroom Council. It's customizable so feel free to swap out some ingredients depending on what's in your fridge. 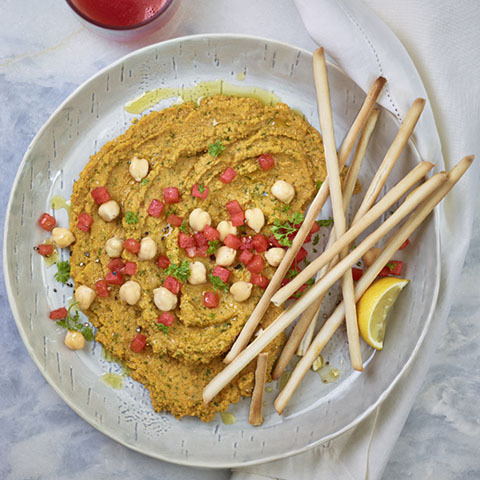 This sweet-savory dip is sure to be a hit at your next cocktail party. 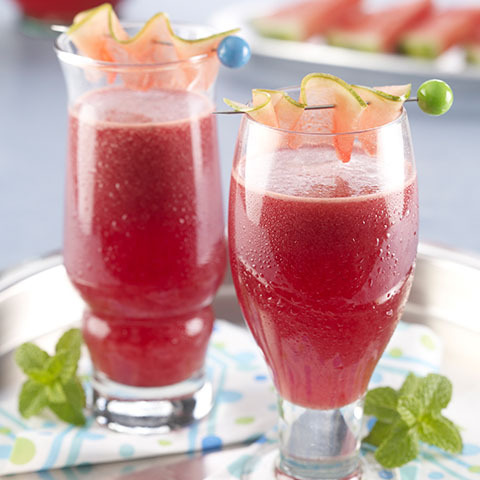 Check out this recipe from the National Watermelon Promotion Board! Need an appetizer for your summer fêtes? 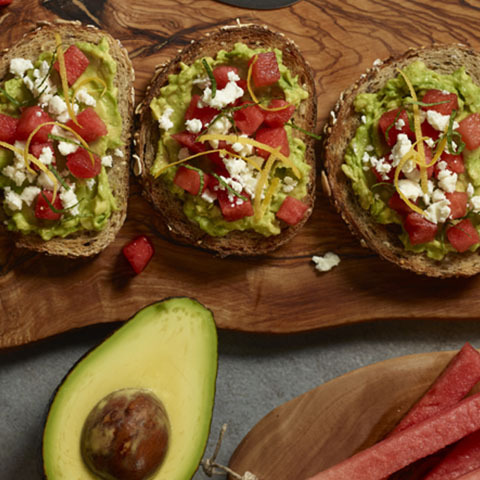 Try this seasonal twist on a classic, Avocado Toast with Watermelon from the National Watermelon Promotion Board! Eating your veggies isn't so hard when they're baked with smokey bacon and topped with cheesy breadcrumbs. 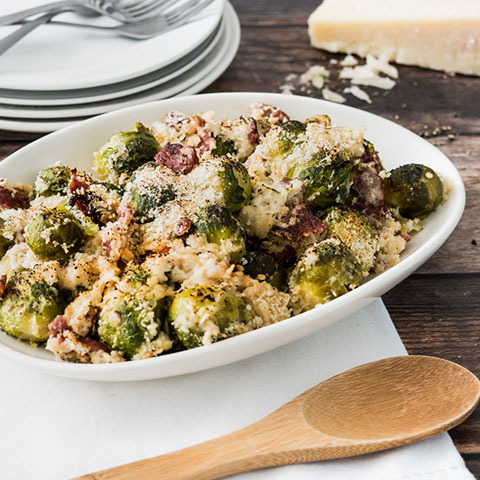 Check out this recipe to make good use of the frozen brussels sprouts in your freezer! 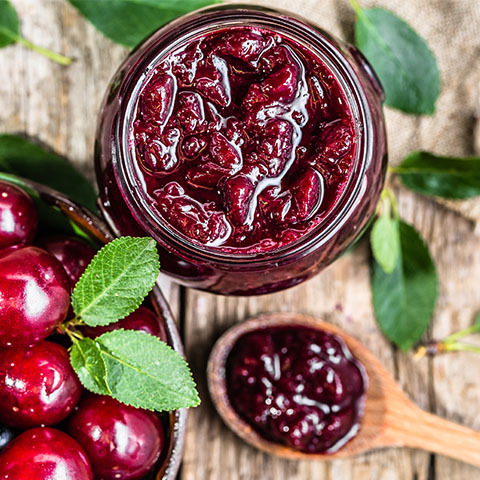 Preserve summer's bounty with this sweet cherry jam from Washington State Cherry Farmer April Clayton. This jam is great on sandwiches, toast or even just straight out of the jar. Past-their-prime veggies find their home in this delicious and hearty kale stew. 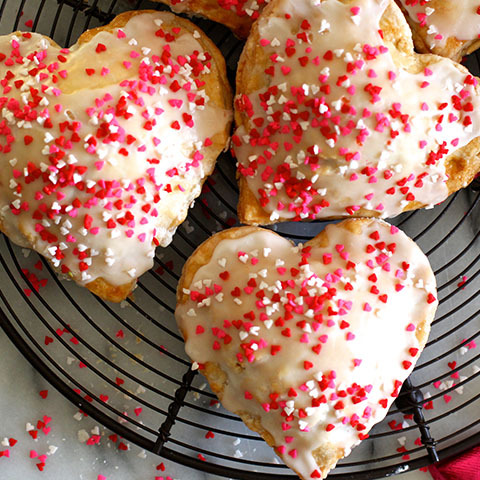 This recipe was developed by blogger Love & Zest for the Hearth, Patio & Barbecue Association. Nothing says, "I love you!" like a heart-shaped apple pie. This recipe from the US Apple Association help you use up leftover apples in sweet handheld pies. 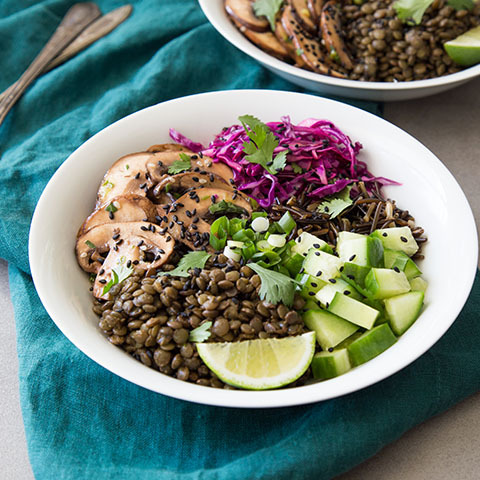 Lentils and wild rice add heft to this veggie-packed grain bowl, making it the perfect lunch at home or on the go! Check out this recipe from the Mushroom Council, and get your grain on. 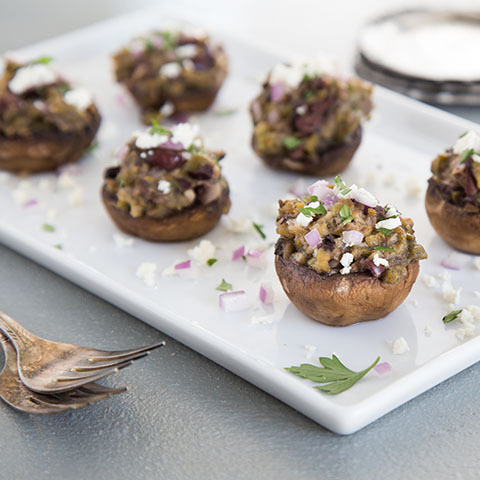 These olive and feta stuffed mushrooms are elegant enough to wow any party guest but easy enough to be made in a hurry. Check out this waste-busting appetizer recipe from the Mushroom Council! No need to head to a restaurant for a spicy, South-of-the-Border snack! 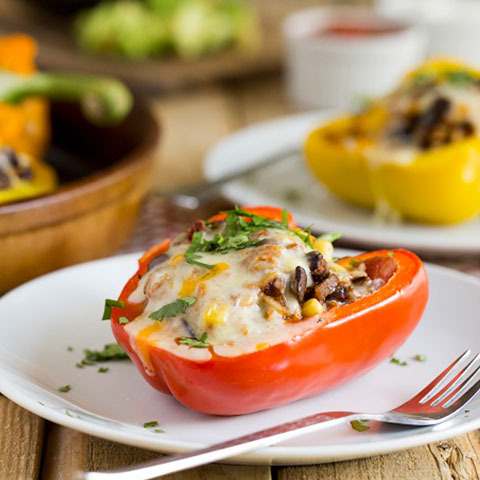 This burrito bowl recipe from the Mushroom Council makes a perfect home for any peppers left in your crisper drawer. 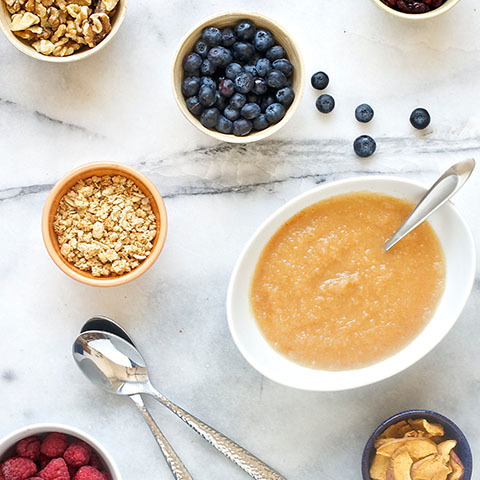 There's no after-school snack quite like applesauce. This recipe from the US Apple Association is the perfect use of any lunchbox rejects. 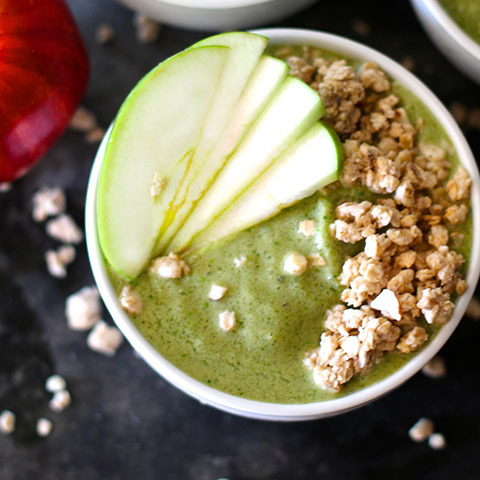 Slow cooking mealy or bruised apples intensifies their flavor and leaves you with a delicious, healthy treat. 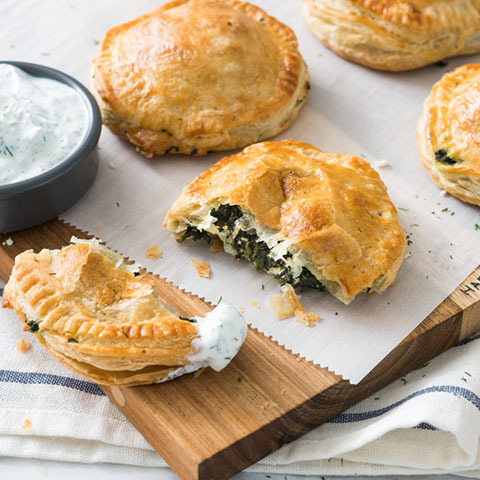 Greek out with these Spinach and Feta Hand Pies. These savory pies are perfect for when you have more cheese than you know what to do with. Talk about a refreshing summer lunch! 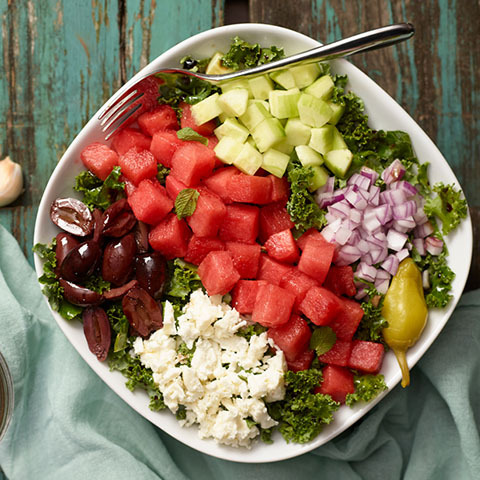 This Watermelon Greek Salad recipe from the National Watermelon Promotion Board is the perfect way to beat the heat this summer while using up leftover watermelon, kale or feta. This refreshing Watermelon Green Tea Punch from the National Watermelon Promotion Board is sure to be a hit at your next backyard party. Mix up a batch next time you have leftover watermelon hanging out in your fridge. This might come as a shock: you can actually eat the watermelon rind, too! 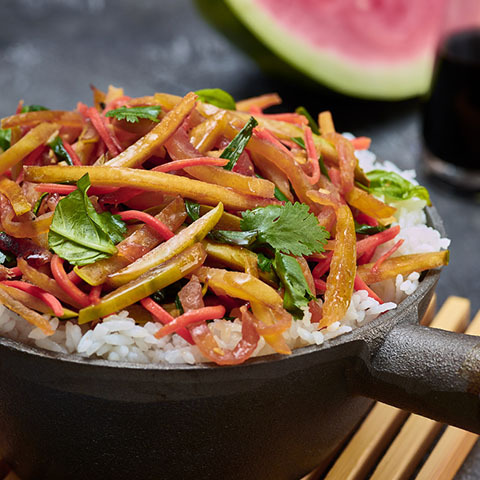 Cook it up in this Watermelon Rind Stir Fry recipe from the National Watermelon Promotion Board, and you'll be in for a savory, summery treat.